Senior neuroscience and organizational leadership double major, Sinna Habteselassie, recently made history at the University of Cincinnati after she was elected as student body president. 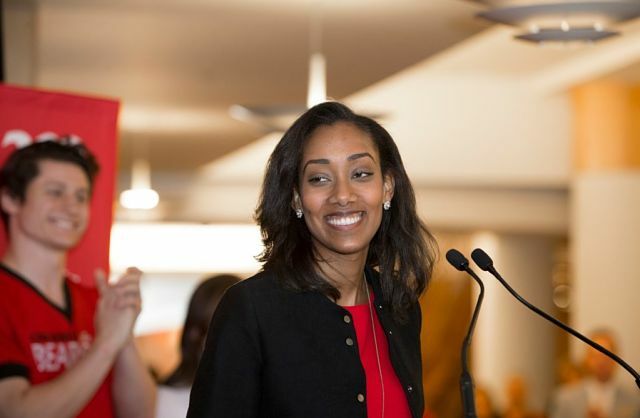 In UC’s 199-year history, Habteselassie became the first African American woman student to be elected to serve in the role. Her recent victory continues to do just that as she uses her platform to speak out about issues such as mental health advocacy and maintaining college affordability to lower student debt rates. “There was a lot of pressure and significance knowing she would be the first Black woman to hold this position. But the fact that she talks so openly about her identity and how that influences how she wants to lead sets a different kind of precedent. She doesn’t shy away from her identity,” shared Program Coordinator in UC’s Office of Ethnic Programs & Services and mentor to Habteselassie, Peyton Wu.